The Blue Growth community, featured by the InnoBlueGrowth project (Interreg MED), celebrated its first transnational event on Yachting in Marseilles last October 11 & 12, 2017. It was the occasion to address a series of issues related to the sector, exchange good practices and explore solutions. Elaborated in collaboration with the iBLUE project (Interreg MED), this event – co-organized by the InterMediterranean Commission of the CPMR, partner of InnoBlueGrowth – gathered a great variety of stakeholders, ranging from policy makers to researchers and academia, representatives of regional administrative bodies, NGOs, and the private sector. The sessions and debates underlined various issues such as the lack of harmonization for regulation and taxes throughout Europe, the very slow process toward digitalization of paperwork and administrative procedures, or the difficulty to recycle boats, in particular those made out of composite materials, among other elements. The participants also shared some good practices of preventing water pollution and recycling waste water, for example in Porto Montenegro, advising for a more integrated and horizontal approach in the sector in order to involve all actors for business and environmental cooperation. Another highlighted point was the need to better inform citizens on the potentialities of the sector, particularly on how marinas make use of renewable energies to become more sustainable. 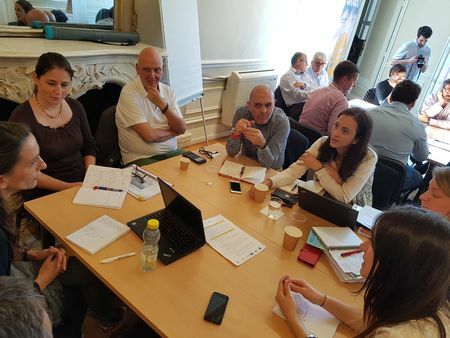 These discussions were very useful for the iBLUE project to gather inputs to nourish its research, especially because it focuses on the issue of relaunching the yachting sector sustainably. To this end, the project indeed introduced the new methodology it uses, integrating three sustainable pillars (economic, environmental and social) in the concept of business model innovation, which it will present more thoroughly on a later stage. The exchanges were also useful for the advancement of the InnoBlueGrowth project and in particular for the IMC-CPMR, since its outputs will be thoroughly used for the capitalization process of InnoBlueGrowth in which the IMC is fully involved. 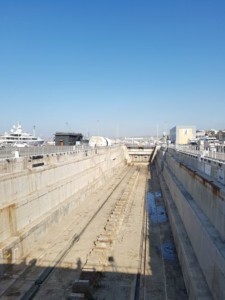 The event included a study visit at the Palumbo Shipyard within the Port of Marseilles, helping understand how boats are taken care of when injuries happen, the delays and costs implied to take care of them, as well as the ways waste water is treated. 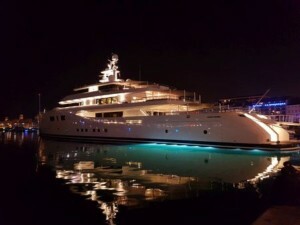 Lastly, the Blue Growth community created its Yachting sub-community, which you can follow and interact with here.